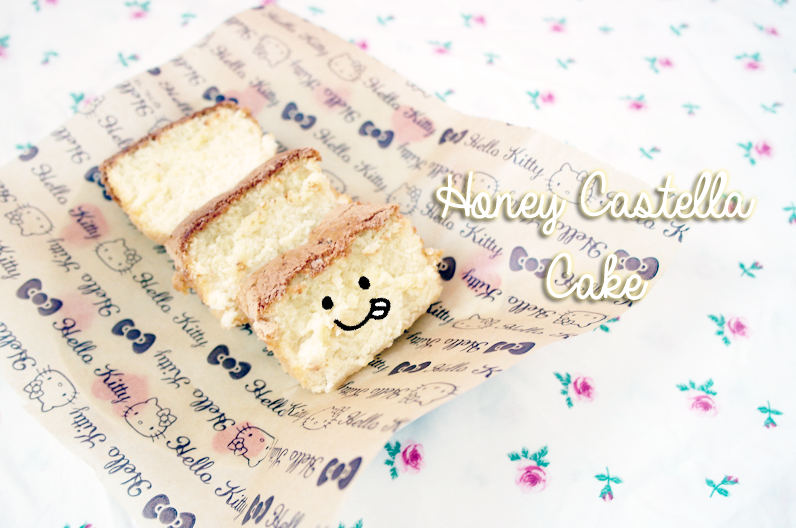 I was recipe hunting recently and I came across this Honey Castella Cake recipe and it seems rather easy because all you need to do is dump everything into the egg mixer and that's it! So I decided to give it a try and it turn out really well! Click on the image to enlarge the recipe. You can also reduce the amount of sugar if you don't like it too sweet. I actually skipped some steps like pouring the batter through a sift because I'm too lazy but it still turn out fine!! The top layer should come out brown and crispy like this! 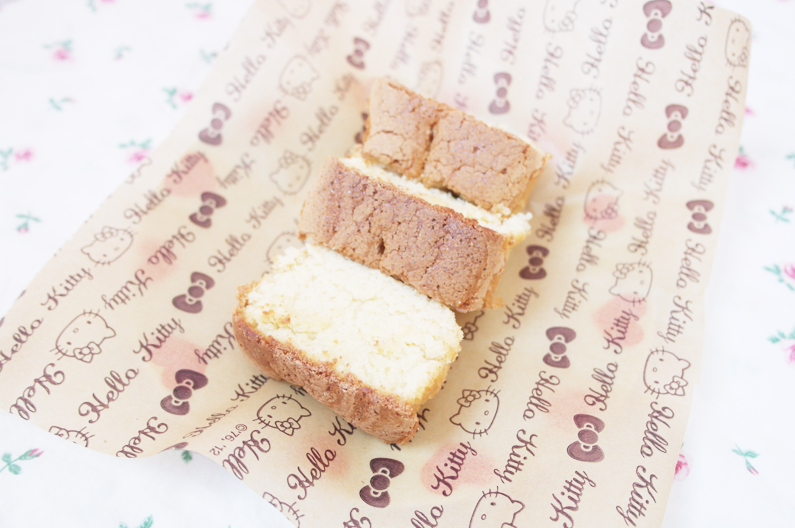 These cakes are also good as gifts because they taste so good and it's super easy to make. Even my sister who isn't fond of cakes said it was good! And did you realize that did recipe didn't use any butter/oil at all?! I WAS SUPER AMAZED CAN.Turned out so good somemore omg this is unreal. 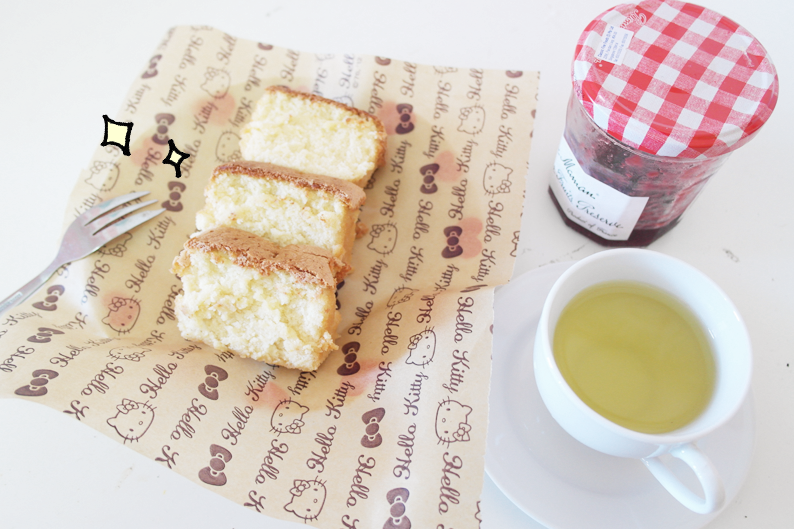 Great as a afternoon tea snack with a cup of coffee/tea! Or just simply wrap them up as a gift! 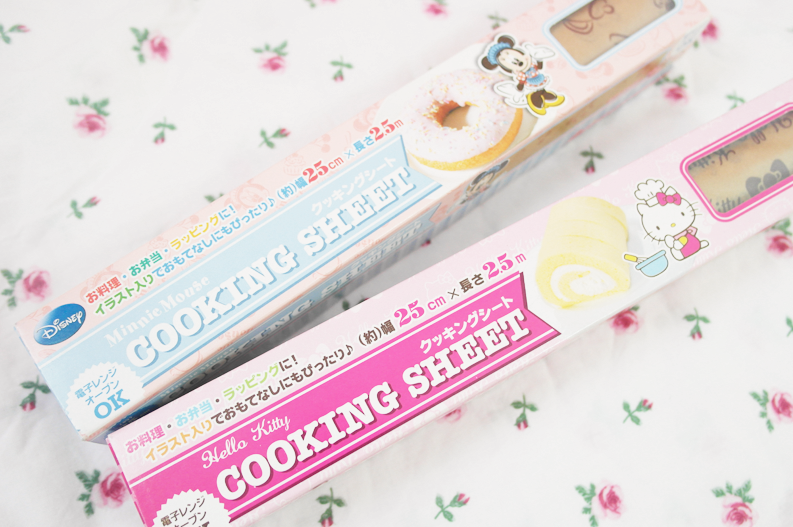 Just in case you're wondering where I got my baking paper from, I got them from a shop that is similar to Daiso call Tokutokuya. EVERYTHING $2 ALSO !!! I bought the ball of paper ropes seen on the above picture from there too. 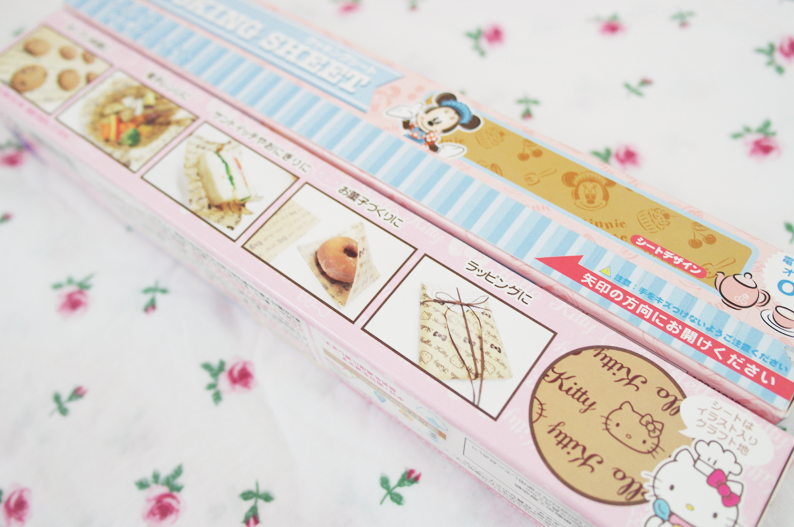 Comes in Minnie and Hello Kitty prints!! You not only can use it as a baking paper, you can also use it to wrap your food in many many different ways!